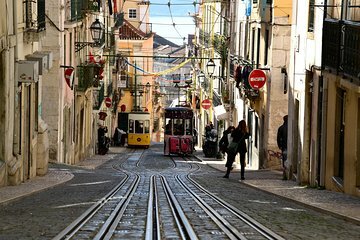 This Lisbon trail starts on Praca Luis de Camoes. The trail can be played all days of the week, starting between 13:00 – 16:00. Starting any later than 16:00 may result in certain locations, where you have to enter to find your answer, being closed. The trail ends near the garden of Principe Real. We do not provide phones or phone service for this activity.